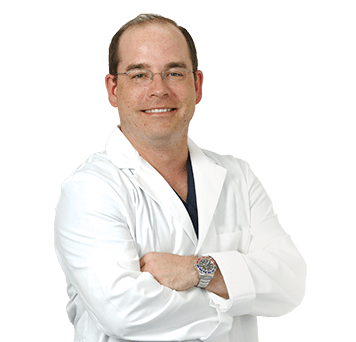 Board certified in dermatology and family practice, Dr. Dwayne Montie is a graduate of Kansas City University of Medicine and Biosciences and a fellow of the American Society for Mohs Surgery. Dr. Montie completed a three-year residency in dermatology at Columbia Hospital in West Palm Beach, Florida, serving as chief resident for the 2006-2007 academic year. During his residency, he received the Frist Humanitarian Service award for volunteer medical assistance to victims of Hurricane Charley in Port Charlotte, Florida. Dr. Montie also completed a residency in family medicine at Columbia Hospital, where he served as chief resident and received the Resident of the Year award in 2001. Dr. Montie has authored a chapter in the dermatology textbook Treatment of Skin Disease and published several other scientific papers. He serves on the medical staff at Martin Memorial Medical Center and Volunteers in Medicine, a nonprofit that develops free primary health care clinics for the uninsured in local communities. Dr. Montie served in the United States Army as a combat medic with the 1st Infantry Division during Operation Desert Storm, as an airborne ranger in the 505th Parachute Infantry Regiment, 82nd Airborne Division and as Aide de Camp to the Commanding General at Brooke Army Medical Center. Dr. Montie resides in Stuart with his wife Sandra and their daughter.